WBA, IBF and WBO heavyweight champion of the world Anthony Joshua and his team has reportedly made an opening offer to American heavyweight Jarrell ‘Big Baby’ Miller for a title bout in America. It’s unlikely that Joshua will get his first two choices after Wilder and Fury agreed to stage a rematch which has also been sanctioned by WBC. 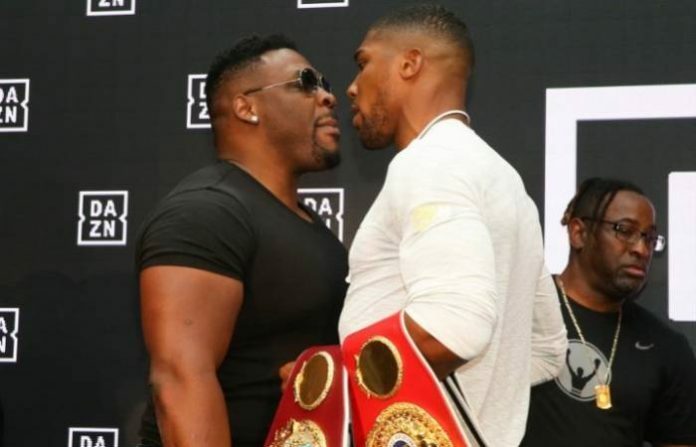 Joshua announced he would be defending WBA, IBF and WBO crown at Wembley Stadium on April 13 last year, but it seems he could scrap this plan to instead fight Miller at Madison Square Garden in New York on June 1. Joshua also have option of facing Dillian Whyte who defeated Dereck Chisora on December 22 in all British affair. Joshua had previously promised to give Whyte a title shot if he failed to get either Wilder or Fury, which is now looking increasingly likely. Whyte posted a video on his Instagram story on Monday morning, saying he had meetings scheduled with Eddie Hearn.